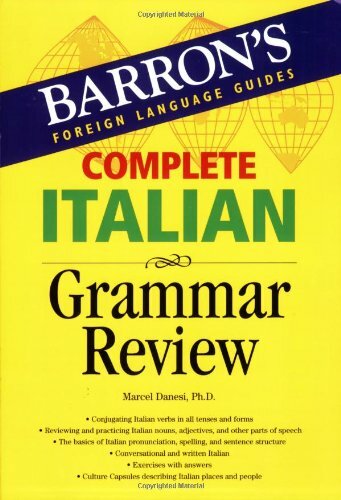 the book in Italian, describing interesting aspects of Italian culture, and supplemented with a bilingual glossary. Exercises with answers are presented at the end of each chapter, and word lists and verb charts are presented at the back of the book. Marcel Danesi is Professor of Semiotics and Anthropology at the University of Toronto. He has authored and co-authored many books on learning Italian and Spanish, including Learn Italian the Fast and Fun Way (Barron's).